The second edition of the Les Arcs Enduro2 powered by Stages reached its climax yesterday after another weekend of high spirits, high-fives, and fun times. 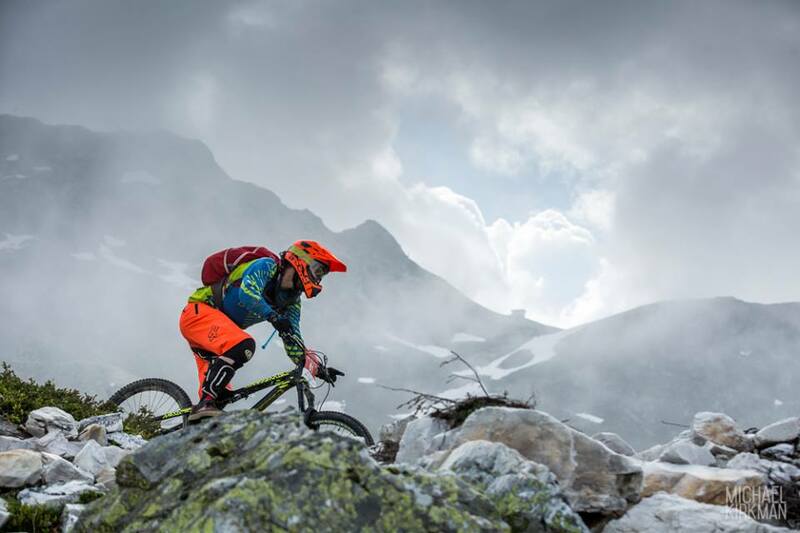 300 lucky participants representing 16 nations were in unanimous agreement that this exciting new format of racing in teams of 2, was a great way to double the fun of Enduro racing. Saturday gave all entrants an introduction to Les Arcs' wide variety of terrain, with 5 timed stages taking in both bike park trails and a few of the technical natural walking trails that are the jewel in the crown of this Enduro-rider’s paradise. Les Arcs' efficient lift system was put to good use, with the Funicular railway dispatching all 300 riders up to Les Arcs 1600m, then on up to the top of the hill via the Cachette Chairlift, gaining 1500m in altitude in under 15 minutes. By making the most of this great lift system, organisers were able to design a course of 12,000m+ descent in only 2 and 1/2 days, with only a small amount of climbing required on each of the liaison stages. A sudden severe electrical storm at mid-day caused the race to be temporarily halted for safety reasons, but the organisers were determined that the race must not be cancelled - and were able to continue after only an hour of taking shelter. Incredibly, by 3pm the sun was out and the storm of earlier was immediately forgotten in the intense singletrack fun that followed. 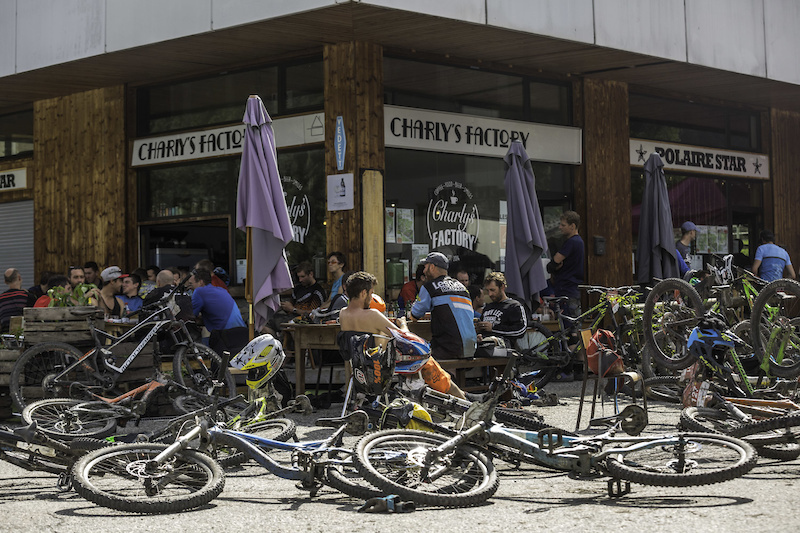 Riders enjoyed the station of Peisey-Vallandry on the second day of the event, with 7 exciting stages being the test of the day - not forgetting to stop for lunch and drinks in Vallandry of course, since the social atmosphere of this unique race is just as important as the final results for most teams who come to ride Enduro2. 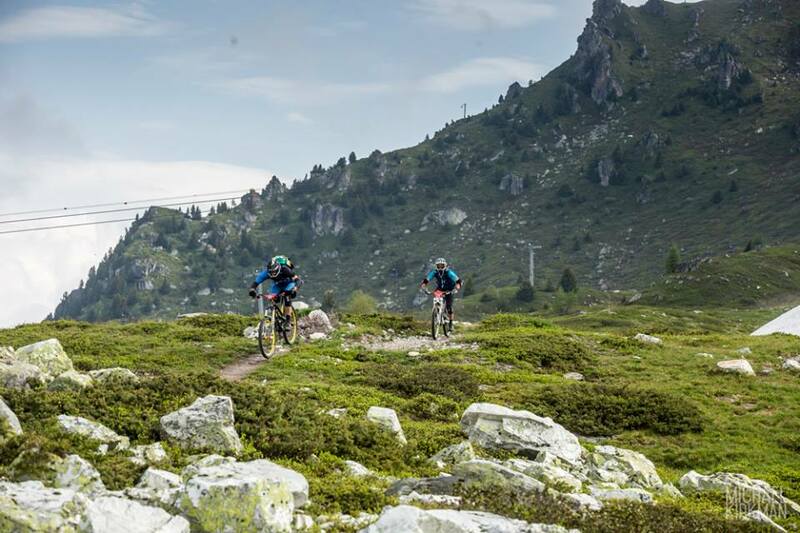 The Les Arcs area is blessed with superb naturally-draining trails, and the wet trails of Saturday were immediately replaced with fast, dry singletrack for everyone. 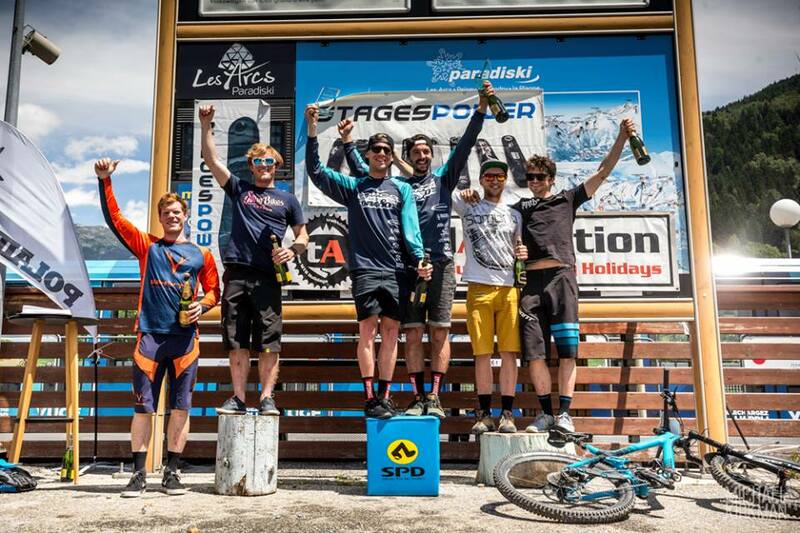 A final three stages were dispatched on Monday morning back in the Les Arcs sector, and after the final stage of the race, the fastest teams were happy to have fun on the podium and celebrate their win before going back to enjoying a cold beer in the sunshine at the post-event party. See you all next year for the 3rd Edition of the Les Enduro2, 24 to 26 June 2017. Keep an eye on the Les Arcs website for information about how to enter - the event always sells out immediately, so please don’t wait! Entries for 2017 will be released on 1st December 2016. Watch some snippets of the event with this round up video from Trans-Savoie (Credit: Hidden Media) here.